An increasing number of business and production processes are based on IT systems. The continuity of your business largely depends on an operating IT environment. Without e-mail, an automated accounting and ERP system, most companies cannot function properly. The management of data is a challenge in the context of today’s data volumes, the growth forecasts and the increasing importance of these data for companies. Data is generated without being considered throughout the life cycle of these data. 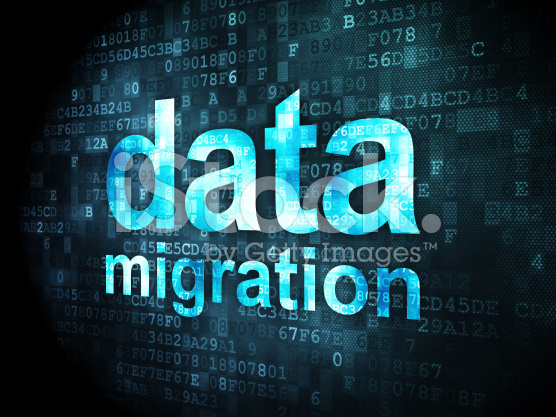 Data migration touches several critical IT infrastructure modules. It’s often a projected step when businesses deploy new applications, acquire new hardware, or upgrade existing applications. Data migration is a vital step in these IT operations and any migration problem hinder your business agility and responsiveness. If your data migration plan fails or slows your IT processes, your costs increase. You have no choice but correct the migration, draining your IT resources. DedicatedSolutions is capable of moving any environment safely to our infrastructure. Our team will help you moving your private cloud environment, applications, domain, and databases. We have a proven track record of cross-platform migration as well. Our migration specialists are experts in migrating Cloud, Multiple sites, Servers, Applications, Email servers, Single website, and Enterprise cloud infrastructure. Our technology experts put together best approach to data migration that leverages your current position. Through our hands-on experience, we make sure to meet your needs, resulting in substantial benefits to the client. Our well documented and tested process methods and tools are helping us to provide flawless custom migration. This entry was posted in Data Migration, DedicatedSolutions, Managed Services and tagged Data Migration, Data Migration Services, DedicatedSolutions, Managed Services on December 3, 2015 by marketing. The main problem relates to the need for cloud, big data and IT are more storage, higher network speed, enhanced security and increased performance. It is very expensive and complex to address all these needs at once. Colocation refers to data centers that provide business services such as servers, storage, network and other computing devices with power and cooling to customers. Colocation also includes server monitoring, structured cabling, remote support and hardware leasing. Colocation data centers serve as a bridge between data centers on site and the change to the cloud. For companies that already have their own server and IT staff to manage their infrastructure efficiently, colocation services offer a cost-effective option that is easy to scale and simplify the consolidation. Why Use Our Colocation Service? DedicatedSolutions provides comprehensive colocation services that allow you to meet the need for more with efficient, cost-effective and flexible options. We help you so you can ensure the right solution at the right time to meet your business goals. We have a large global presence that is managed regionally, personalized support and help you so that you can realign your data center resources by the administration towards innovations. Our colocation centers offer a business and solution flexibility to respond quickly to business and market changes, and easily enhance your service or can make changes to the service, according to your business needs. With our Colocation, you save costs, time and effort in data centers on site that require the support of your IT Equipment constant maintenance, power and cooling. At the same time, you benefit from all the features and benefits of co-location data center. These include access to managed security or hosting, centralized data storage, backups, firewalls, fire suppression systems and environmental controls. Each of our data centers offers SLAs for temperatures and humidity, a structured cabling and a 100% SLA availability. Many of the world’s largest corporations and financial institutions use our services. DedicatedSolutions understands that there are business requirements that require the use of another network provider and for that we have carrier neutral 900+ carriers services available. 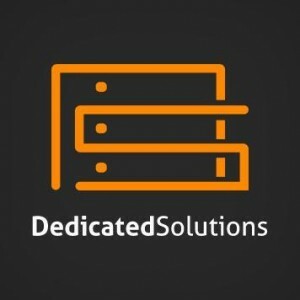 DedicatedSolutions provides the broadest range of IT outsourcing solutions with end-to-end hybrid IT skills, private and public cloud services, managed hosting, professional services and a range of managed security and storage options. This entry was posted in Colocation, Data Centers, DedicatedSolutions, Managed Services and tagged colocation, Data Centers, DedicatedSolutions, Managed Colocation, Managed Services on November 9, 2015 by marketing. Market mechanisms, such as cloud and Big Data, affect fundamentally on data centers. They also create a number of new and complex challenges for IT. The main problem relates to the need for “more” as IT needs more storage, a higher network speed, enhanced security and increased performance. It is very expensive and complex to address all these needs at once. 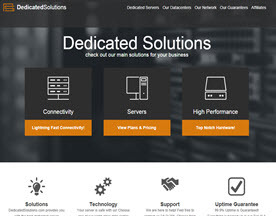 DedicatedSolutions Managed Colocation service refers to data centers that provide business services to servers, storage, network and other computing devices with power and cooling. In addition, Colocation allows connections to your network and its physical infrastructure and provides the following optional services – server monitoring, structured cabling, remote support and hardware leasing. Colocation data centers often serve as a bridge between data centers on site and the change to the cloud. For companies that already have their own server and IT staff to manage their infrastructure efficiently, colocation services offer a cost-effective option that is easy to scale and simplify the consolidation. 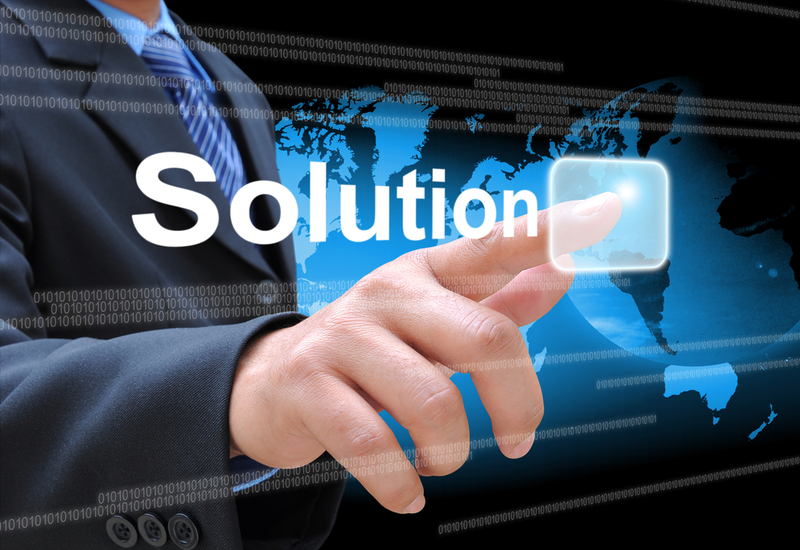 DedicatedSolutions is recognized leader in colocation. With colocation services that are available worldwide, we deliver one of the biggest global presences in the market. Each data center offers SLAs for temperatures and humidity, a structured cabling and a 100% SLA availability. For many of the world’s largest companies, we are regarded as trustworthy and reliable colocation provider. With our Colocation services, you save costs, time and effort in data centers on site that require constant maintenance, power and cooling of your IT equipment. You get a reliable and easily scalable solution that allows you to maximize your hardware ROI while you give your IT staff the freedom to focus on initiatives that can promote your business growth. At the same time, you benefit from all the features and benefits of colocation data center. These include access to managed security or hosting, centralized data storage, backups, firewalls, fire suppression systems and environmental controls. A full range of colocation infrastructure specifications from Tier 1 to Tier 4, to provide infrastructure and products to suit all budgets. A complete range of products ranging from managed hosting, floor space and custom systems to ensure the satisfaction of all requirements. We have space available ranging from 1U to full racks. We will provide you with reliable, redundant power and connect you with our enterprise level network using a premium carrier blend. This entry was posted in Colocation, Data Centers, DedicatedSolutions, Managed Services and tagged colocation, DedicatedSolutions, Managed Services on November 2, 2015 by marketing.